Soft and flexible with supple leather palms, the Briers Blue Lined Leather Gardening Gloves B6321 are ideal for protecting your hands during an array of gardening tasks. The gloves are soft and flexible with a fleecy lining, while protection is provided by the supple full leather palms and fingers. 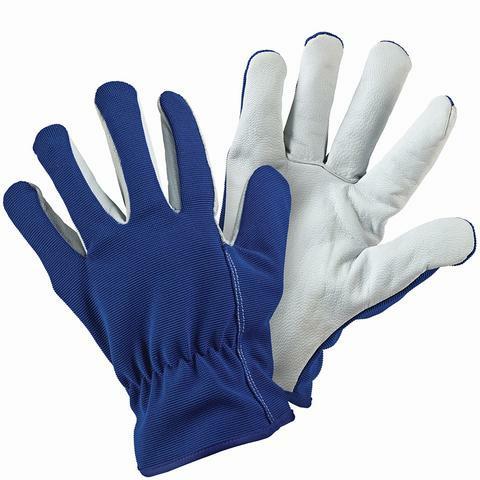 The Briers Blue Lined Leather Gardening Gloves are available in a single size that should fit most individuals. Please measure the circumference of your hand around the knuckles (excluding the thumb) with your hand open and your fingers together, and the length of your hand from the tip of your middle finger to your wrist.